The Apology is Plato’s account of Socrates’ speech he gave in his own defense at his trial for impiety. Xenophon and many others had written their own accounts of Socrates’ defense, though little of these other accounts have survived. While our word ‘apology’ means an admission of guilt and wrong, originally the word applied to any argument or explanation of one’s actions, regardless of how right or wrong one believed these actions to be. 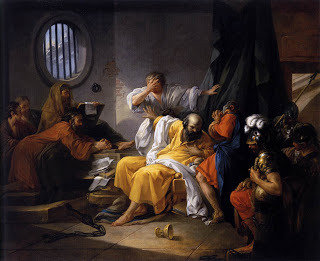 Socrates’ apology is not an “apology” the way we use the term today, as he explains to the Athenian assembly why he was not wrong but was doing a great service to Athens by forcing them to examine their lives and beliefs critically. 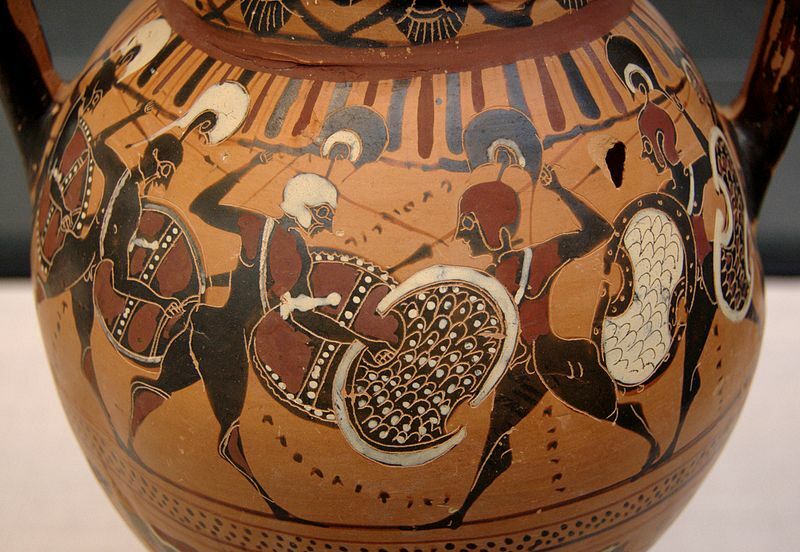 After Athens had become the rich center of the Delian League, infighting between Athens and Sparta had led to numerous indecisive wars, leading to the Peloponnesian War. Sparta, with the aid of Persia, defeated the Athenians and their allies. Athens never recovered, losing its empire of colonies and status as the most wealthy and powerful Greek city-state. Many began to question Athenian democracy, which had clearly been defeated by the more aristocratic and dictatorial Sparta. Athenian democracy was quite oligarchical itself, with very few Athenians qualifying as citizens. 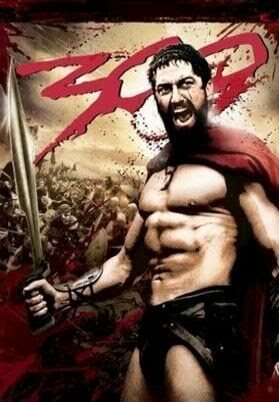 In modern times, European cultures have often identified ‘the West’ with Athens and only rarely, such as in Germany under the Nazis and recently in the movie The 300, have identified ‘the West’ with Sparta. In Plato’s dialogues, Socrates is critical of Athenian society and praises Sparta, who like Egypt he says the Athenians should imitate in placing the excellent above others as leaders. Egypt was known for its scholar priests, and Sparta its warriors. Whether Socrates was an admirer of Sparta or merely critical of Athens is difficult to tell, but it seems Plato did admire Sparta and many Athenians would have seen Socrates’ criticism as dangerous given Athen’s decline. In his rounds of Athens, searching like Diogenes for wisdom among the Athenians and not finding much of it, Socrates had acquired followers, many of whom were young and critical of Athenian society. These students began, like Socrates, to question their elders as well as the traditions and institutions in which the elders were involved. 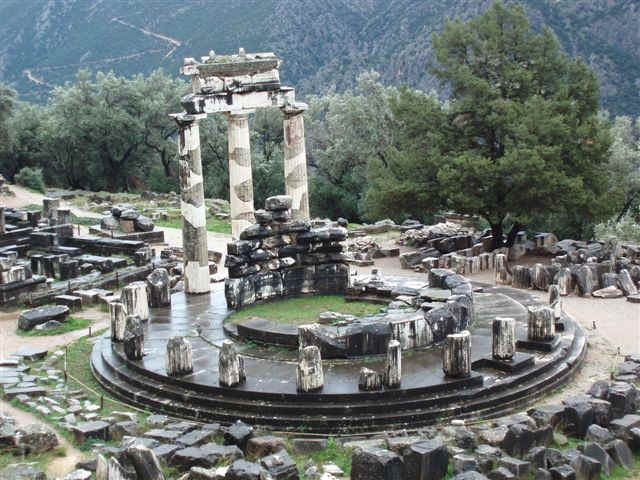 These included both the Homeric culture and the political organization of the state. After this had increasingly annoyed the traditional and the powerful for a good length of time, riots broke out that may or may not have included some of Socrates’ students. These riots destroyed temples and statues of the Homeric gods. Blaming Socrates, the Athenian assembly accused him of impiousness towards the gods, believing in new gods, and leading the youth astray. These “new gods” were likely the abstract ‘good’ that Socrates believed should be pursued, as well as the daemon, spirit or conscience Socrates conversed with to seek the true and the good. As the Apology begins, Socrates begins by saying that he knows nothing for certain, and knows that he knows nothing. Note that this is a good defense against the charges of holding heretical views and leading others to heretical views different from the traditional views, as Socrates does not have particular views, nor does he know the traditional views are false. Socrates says he is not a good speaker, unlike the great orators of Athens who are good at swaying others to their own opinions, and asks the assembly to judge him not by his skill with words but by the truth. 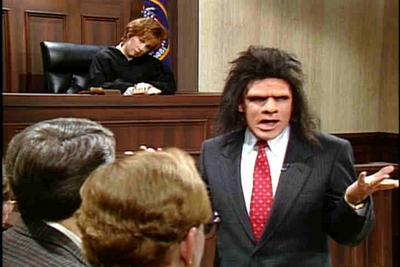 This is, of course, a rhetorical tactic similar to the infamous “Now, I’m just a simple country lawyer” approach used on the TV show Matlock and in the Saturday Night Live skit Unfrozen Caveman Lawyer, in which Phil Hartman says, “Ladies and gentlemen of the jury, I’m just a caveman…Your world frightens and confuses me…but what I DO know, is my client is entitled to a large cash settlement”. Apparently, Socrates’ knowing that he doesn’t know makes a decent defense in court. Whether or not Socrates is using false modesty like these others, he argues that modesty and the truth is the best and most convincing rhetoric. 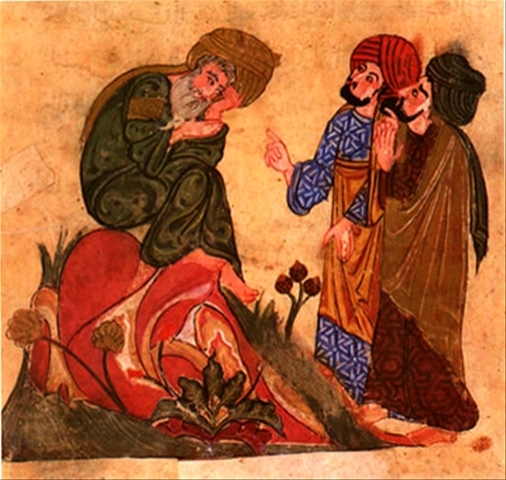 He is also subtly insulting the assembly, a questionable move if he hopes to be acquitted, as he has said the assembly knows nothing like himself and they are easily convinced by orators who also know nothing but believe themselves to know and sway the assembly to agree with them without possessing truth. Socrates says that he has been accused of being a mere sophist, a rhetorician who is skilled at making the false appear true through argument (much as people today accuse lawyers of doing), but this is not the case as the sophists are highly paid and claim to know things and he is broke and knows nothing. He notes that Aristophanes, who is not his enemy but has disagreed with him and mocked him with his plays, has unfortunately led many to this view. Socrates says that he has been accused by several prominent Athenians who speak for the politicians, craftspeople, poets, and orators, all of whom have been angered by Socrates arguing that no one knows much of anything. He argues with one accuser, Meletus (not Miletus, the city-state), who Socrates says is simultaneously accusing him of atheism, of believing in no gods, and believing in new gods, which can not both be the case. Socrates relates to the assembly the story of his friend Chaerephon going to the Delphic Oracle and hearing that no one is wiser than Socrates, and that this troubled him and drove him to question those who were said to be wise. Notice that Socrates says the traditional oracle of Apollo is what sent him on his mission, and that he later confirmed what the oracle said was true, a good thing to do if one is accused of impiety toward the traditional gods including Apollo. Socrates distances himself from the views of Anaxagoras, who argued that the sun was a flaming rock, and affirms the divinity of Apollo. He did initially doubt the oracle, but later confirmed that it spoke the truth by going on a divine mission to figure out what the oracle must have meant, assuming it knew more than he did. 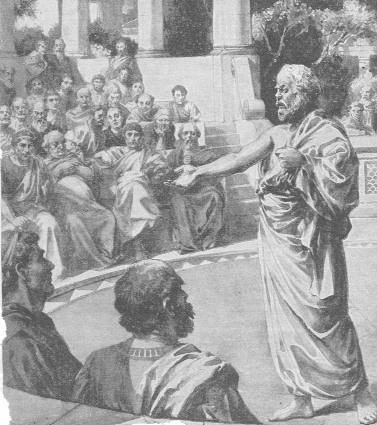 After seeking out philosophers, politicians, poets and craftspeople, Socrates came to the understanding that while each of these experts claimed to know a great deal, questioning them showed that experts are much like the Pythias of the Delphic Oracle in saying things that they do not entirely understand themselves. Socrates decided that he should continue to question others as a spokesperson for the oracle, showing others that the gods have the wisdom to know that human beings do not know, but human beings themselves most often do not. On one hand, Socrates is putting himself in the company of the gods and above others, possessing the wisdom that humans know nothing, but on the other he puts himself in the company of humanity, saying that he himself knows nothing. In terms of knowledge, Socrates is a mere mortal. In terms of wisdom, Socrates argues for the view of the gods. This is quite similar to Heraclitus, who said that our language sounds like baby-talk to the cosmic powers, and the wisdom of the wisest man sounds like the grunts and cries of an ape. Socrates, like Heraclitus, suggests that even as a mortal ape, far beneath the cosmic powers, we are indeed of striving for and achieving wisdom, even if this wisdom will never rival that of the cosmos. Socrates tells the assembly that he does not fear death, only not living in accord with the good. Mortals like himself do not know what death is, and so there is no known reason to fear it. In the next dialogue we will examine, the Crito, Socrates accepts his death and does not escape his punishment like Anaxagoras who fled with the help of Pericles. He argues that one should obey the law, just as one should obey the gods. However, in the Apology, he tells the assembly that one should obey one’s superiors, which means that one must follow the will of the gods over the will of humanity, and so the assembly will have to convict him if they wish to stop him from showing others that they do not know. He says that as long as he draws breath, he will not stop practicing philosophy. Aristotle wrote that one should never kill one’s father, but among the Triballi tribal people the gods sometimes demand it, and so the Triballi are right to kill their fathers. This is like Antigone in reverse, who obeys the lower order of her family in defiance of the law of the state. 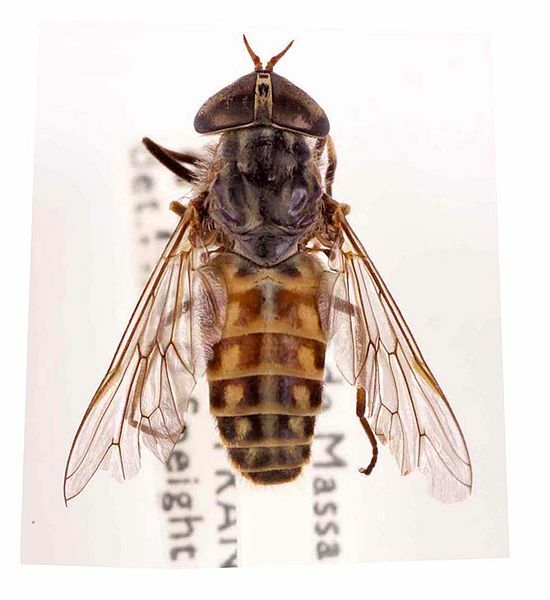 Socrates tells the Athenians that they are far more concerned with acquiring wealth than wisdom, and that there is nothing better for Athens then his taking up the role of the horsefly, the annoying pest that stings the horse and forces it into action. The assembly votes, and Socrates is found guilty by a slight majority. The assembly was said to be composed of about five hundred, and Socrates says in response that only thirty votes would have changed the verdict, making the tally about 280 voting guilty, 220 voting not guilty. Instead of pleading for mercy before he is sentenced, Socrates suggests to the assembly that he should be given free meals for life in the main council building, an honor reserved for military heroes and champion athletes. Diogenes Laertius claims that this angered the assembly, and that more chose to vote for a death sentence than had initially voted for Socrates’ guilt. Socrates tells both those who voted against him and those who voted in his favor that he did the right thing even in the face of death, which is the best that can be done. Socrates speculates that death may very well bring freedom from all desires and discomforts, and that he may be able to meet great souls such as Hesiod and Homer, with whom he may continue to question and practice philosophy.